There is a beauty on Lake Come that is quite unlike anywhere else I have been. The small lake front towns (Como, Varenna, Lenno) are far too crowded with tourists looking to get away from the city for the day. April when I visited, the wind was still biting and the temperature too cold for my taste, but still the beauty is there. There is a stillness and a calmness to these waters. I am all too happy to one day return and spend more time. I read a story recently about a man who’s wife was dying. She asked to be taken on one last trip before she passed, she wanted to be surrounded by beauty and love. He thought of all the places he had been (he was also a traveler like me)…he took his wife to Lake Como. I can’t say I have a favorite place in the world. There is simply too much wonder and beauty…too much flavor. The one thing I can say about the man, he made a perfect choice. I said last week I sometimes travel just for one photo. The great thing is you find so much more along the way, but often singular things capture my imagination and pull me to them with some great unseen force. I saw another rendition of this scene on a travel website when I knew I was going to Milan. I was looking for things in and around the great fashion capitol to do and Lago Como caught my fancy purely BECAUSE of this scene. 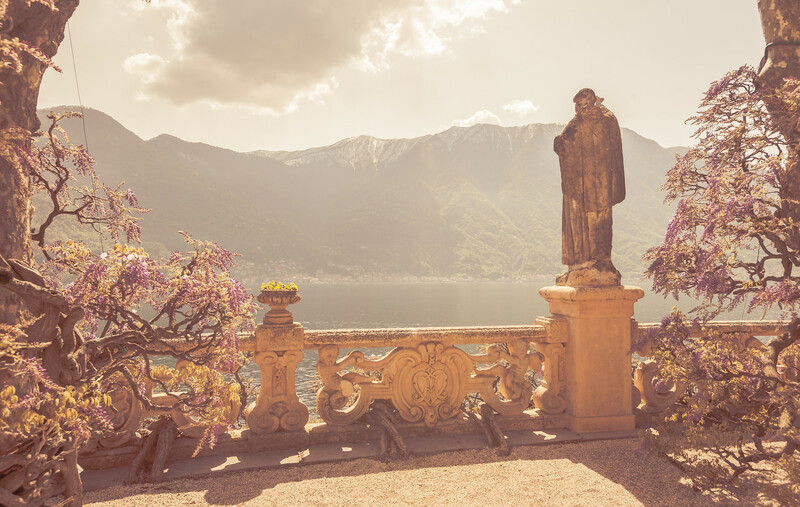 The statue looks over the most lovely vista at Villa Balbianello and gestures; to the surroundings and almost to the heavens. He seems to say, perhaps here, they are the same. Italy is a long way to travel to see the view of an old statue. I stood in this spot, sat in this spot for hours, the warm sun penetrating the biting cold April Lake Como wind. I thought of all places I have been and seen; I agreed with the statue. Truth be told it was pretty cold this day. 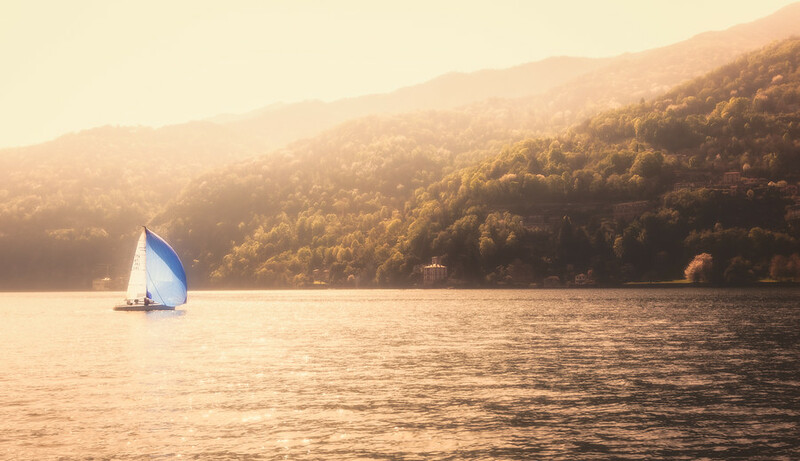 It was spring in Italy, but Lago di Como has some good winds that whip through the canyon over the lake. It undoubtedly makes for great sailing as this boat wasn’t the only enjoying the hazy, but sunny day. I was glad I had a warm insulating layer or I would have frozen to death. Did I Just Steal the Train? Coming home for Varenna, the train station was closed. A number of people got on at the same time I did, and insisted you could just pay the conductor. There was no conductor. I later found out the bar in Varenna sells tickets (of course it does) after the train station closes. Luckily I didn’t get myself in a bunch of trouble as my Italian isn’t so good and Italians are SERIOUS about their train etiquette! A quick photo for today. 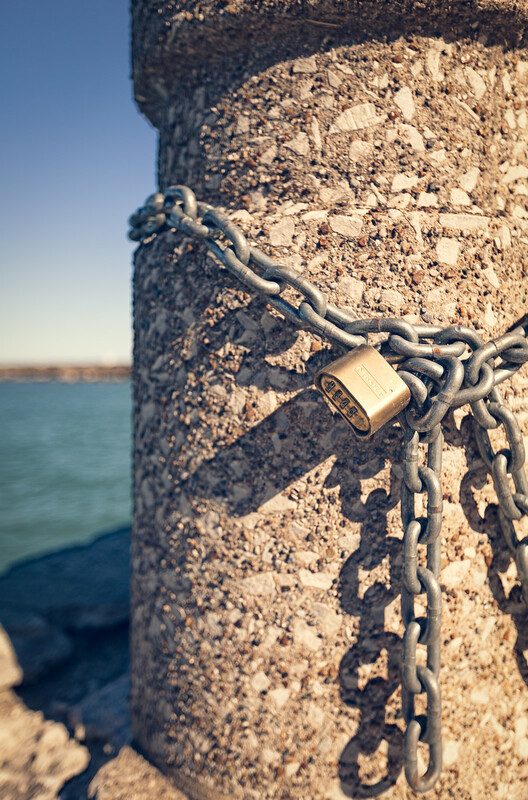 I found this random chain and pad lock on the shoreline of Lake Michigan in Chicago. Nothing was attached and nothing was around so I have no idea why it was there. Maybe someone regularly locked up their bike to this pillar and just left their lock there all the time. I cant imagine that chain is light. Consequently, today’s title made me feel a bit like Dr. Seuss! There is something to be said for trying. 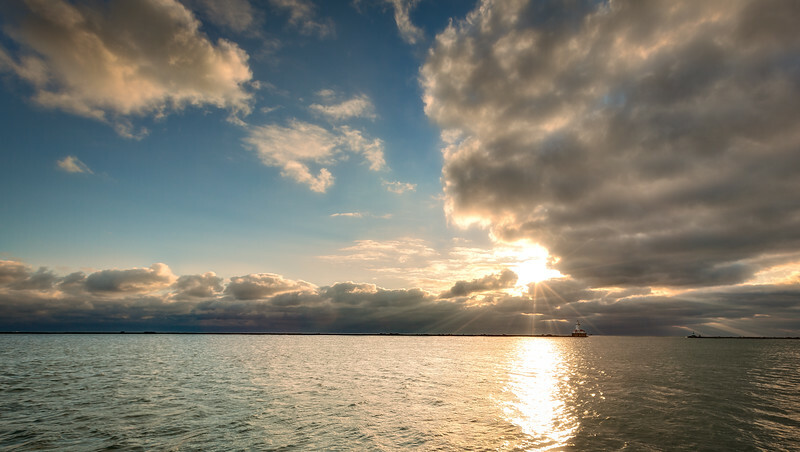 I took this photo the same day I took my Sunrise at Navy Pier photo one cold morning in Chicago. I had got up at 4am to take the train into the city to get this and it was clouds, clouds, clouds. I kept moving toward my destination…I was always headed for Navy Pier, and just as I reached the end of the pier, the sun finally broke though the clouds. I caught the whole thing for today’s photo. I sat and stared at what appeared to me to be a tiny lighthouse (it wasn’t really tiny) off in the distance. Despite the bitter Chicago cold, it was a good morning. 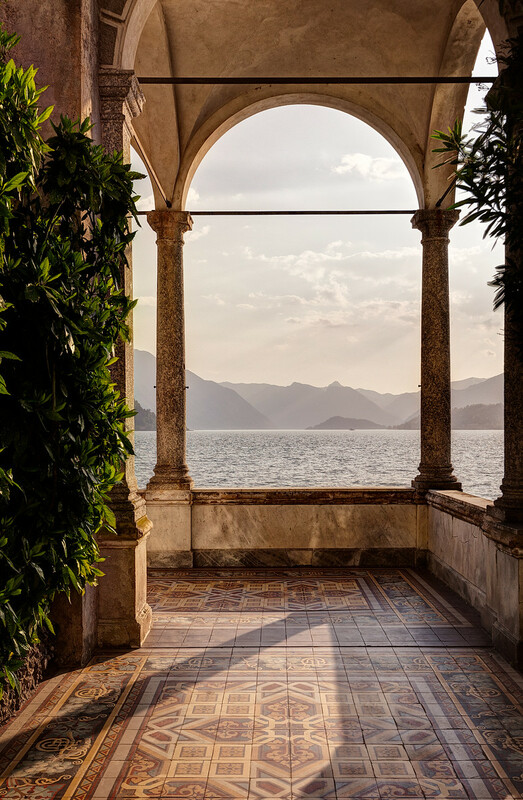 I have been a good deal of places over the last few years, and I have to say the Lake Como region of Italy is one of the most beautiful places in the world. Perhaps it was the lucky weather or the magical smell of the blooming wisteria that seemed to be all around. I spent my time on the lake visiting small villages/towns and the villa’s that were located there. This particular place was called Villa Monastero and while it didn’t have the financing that Villa Balbianello had, its length with super impressive! The grounds occupy a narrow strip of land that follows the coast of the city of Varenna. I walked for 45 minutes (slowly mind you) before I hit a gate and could go no further. I entered the gates only an hour before closing time and had to walk back at a VERY fast rate to make it there before getting locked in an Italian Villa for the night. On second thought, perhaps I had the wrong idea! This photo is of one of the multitude of awesome views of Lake Como in the city of Varenna, Italy.